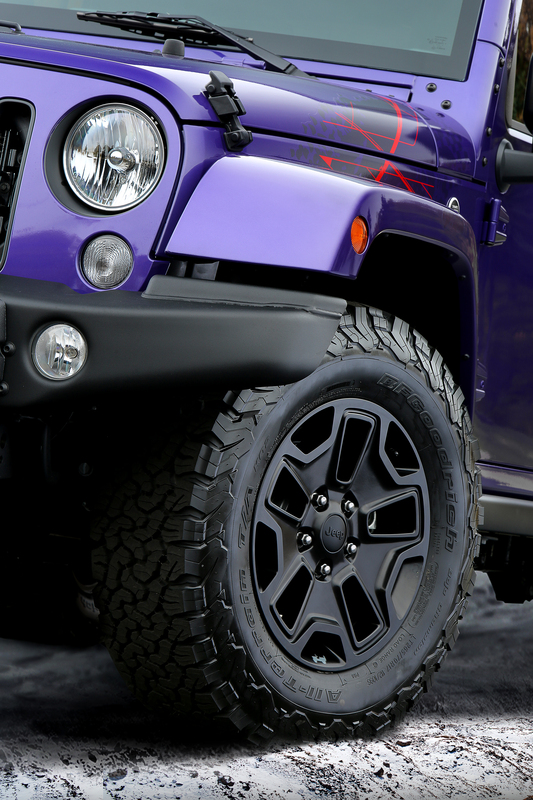 The exclusive color to the Backcountry Edition is technically called Xtreme Purple; however, we all know it should have been Plum Crazy. 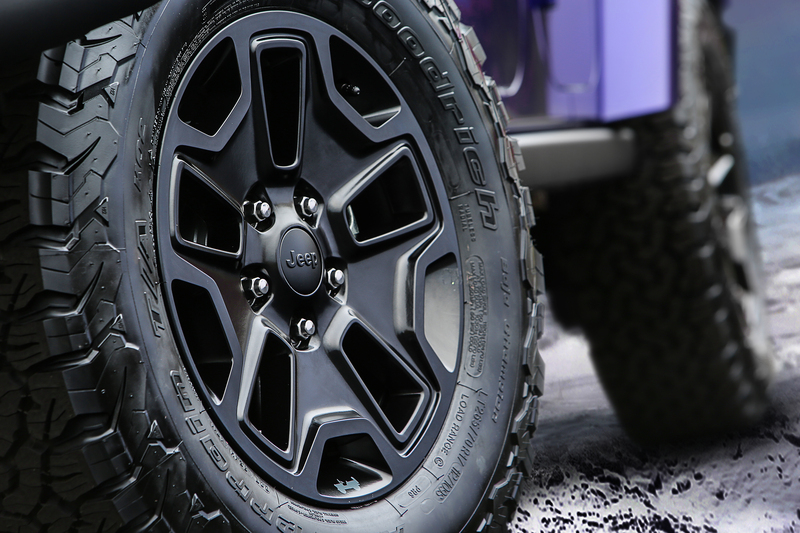 Joining ranks with the Black Bear Edition, and the continuation of the Willys Wheeler from 2015; the Backcountry Editions biggest offroad feature is the set of BF Goodrich KO2 all terrain tires mounted on 17 inch black rubicon wheels. The Backcountry also adds steel off road bumpers and Rubicon rock sliders. The interior gets some special treatment as well adding a vinyl wrapped console, leather seats, and Diesel Gray accent stitching. 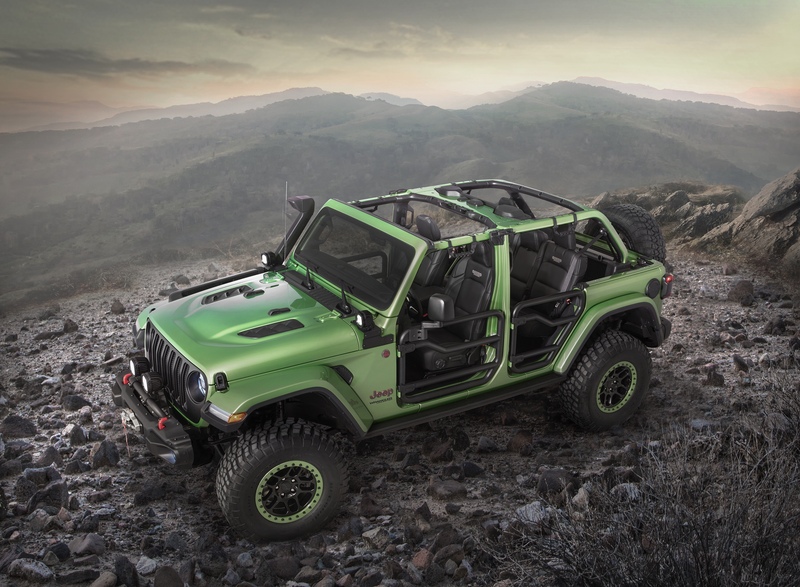 Jeep officially introduced the Backcountry at the Los Angeles Auto show, and models are already on dealer lots. I’m not sure what all the consternation I’ve seen in the Jeep community about this edition is. 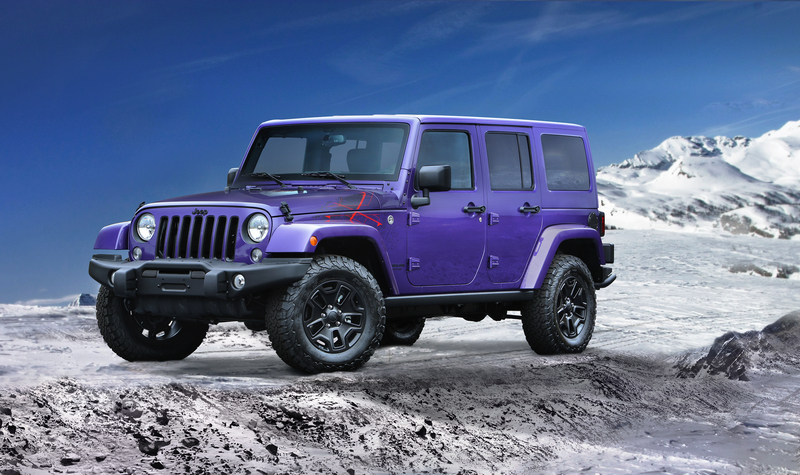 It won’t be the first time Jeep has offered a unique color choice for the Wrangler.